This build has been a long time coming I originally bought the Xterra when I was 19 it was my first real car. 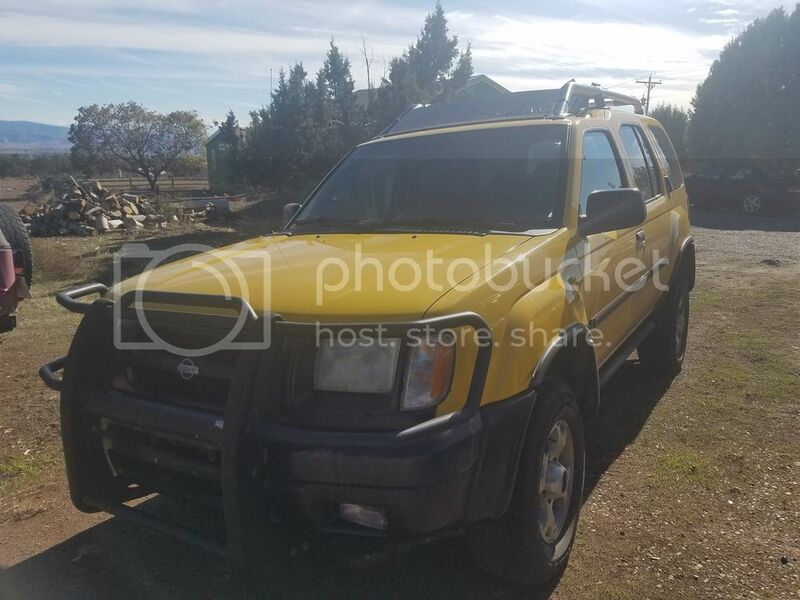 The Xterra had 130,000 miles on it and I drove it back and forth from the western side of Colorado to Denver almost every week to visit my old girlfriend. 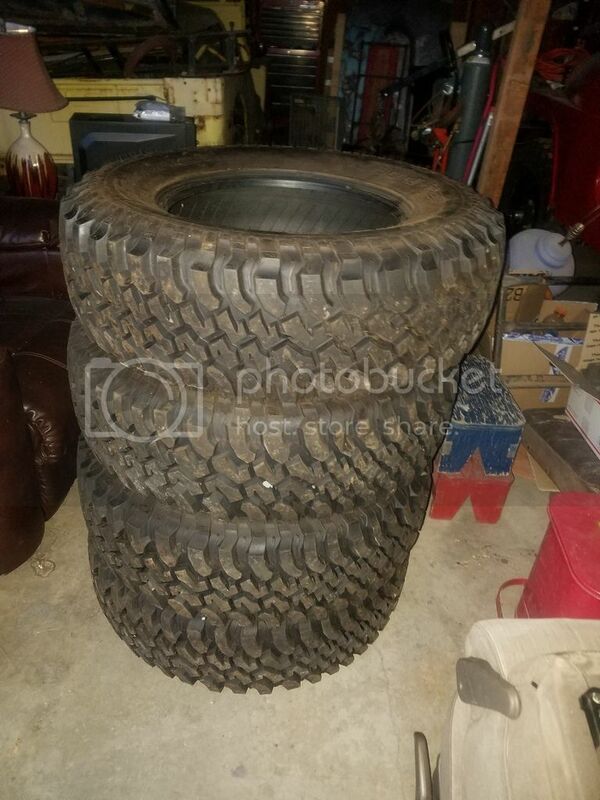 I eventually went to a 31x10.50 Duratrac tire my first mod. 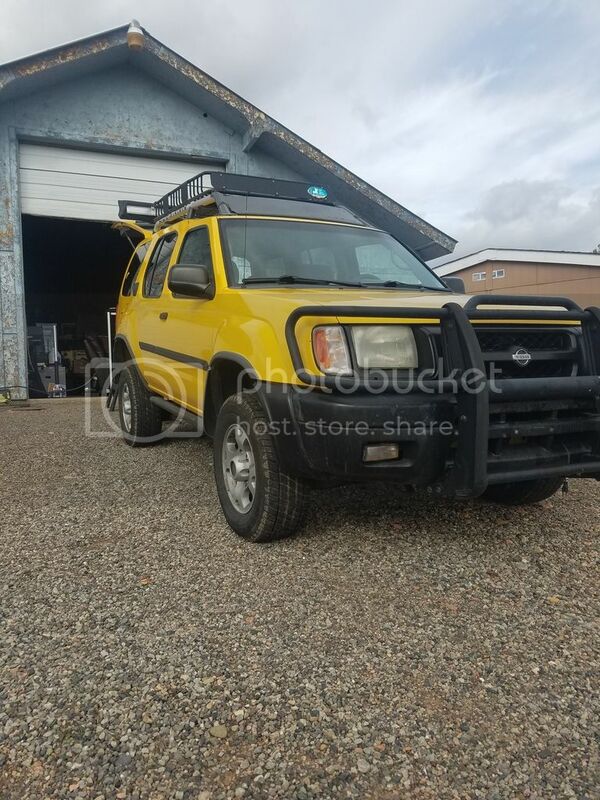 When I was 20 I moved to Anchorage and drove the Xterra 3500 miles from Colorado to Alaska loaded up with everything that I owned. 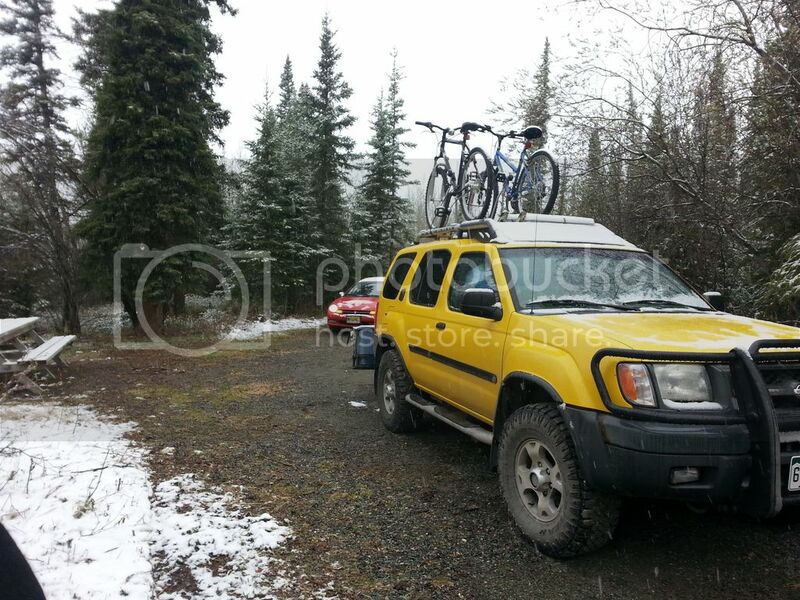 I drove the Xterra all over Alaska hiking and rock climbing. The Xterra came with a block heater when I bought it so it made a perfect Alaska car with 4 wheel drive and plenty of room inside. 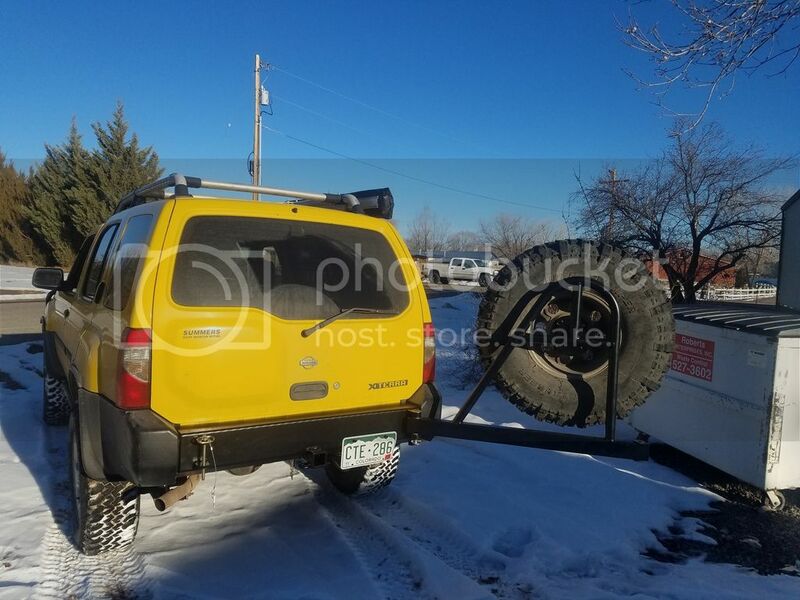 I eventually moved back to Colorado and drove the Xterra all the way back again with everything I owned loaded on it. When I got back to Colorado I decided I wanted a new car and bought a Focus ST and sold the Xterra. I have bought and sold a lot of cars but the Xterra was the only one I ever regretted selling. I got the Xterra bug again and traded the Focus ST in for a 2007 Xterra off-road. I never really cared for the 2nd gen Xterra’s and sold that car and bought a 1976 Dodge Aspen station wagon and drove that daily for 6 months till I got tired of it and bought a 98 Nissan Maxima. 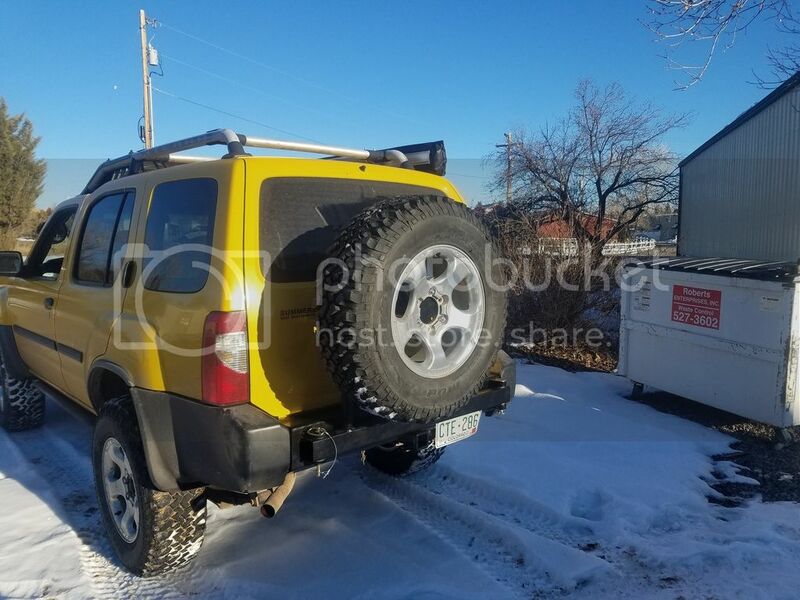 After years of buying and selling cars I missed my old Xterra and said if I ever found it I would by it back. I got lucky and found it for sale on Craigslist not to far away from me in Colorado and went and bought it back. 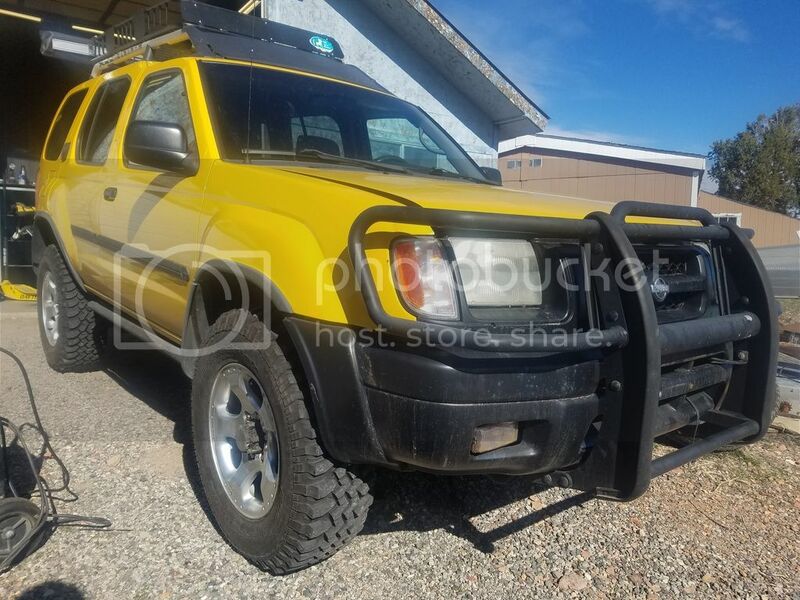 So after 7 years of wanting to build the Xterra I finally have a chance to do so. It currently has 205K miles on it but still runs great. It has the PML lift and sliders I had on it before I sold it. Driving it back from Alaska picture is taken somewhere in the Yukon. 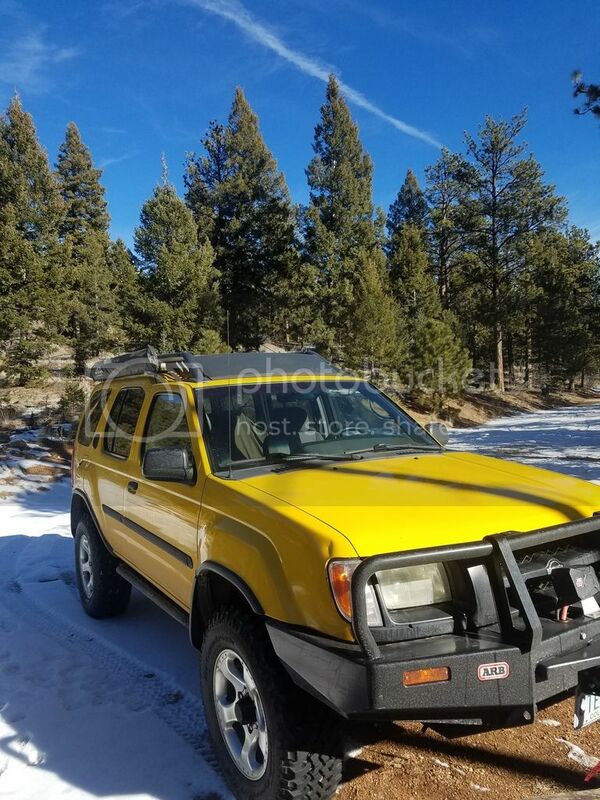 Picture from the ad when I sold it. Still in Colorado? Denver here. On the Western side of Colorado over by Grand Junction. I forgot to list that I have been using a 96 Montero as my current adventure rig. I moved the cheap roof basket and the tuff stuff awning over from the Montero to the X. As you can see the PO put some small all seasons tires on the X so I decided it needed some new tires first thing and found some 255-75/17's off a Rubicon. Picking up some 17's off a supercharged Frontier this week. Greetings from Dallas. Square lights are the best lights. A new build thread! 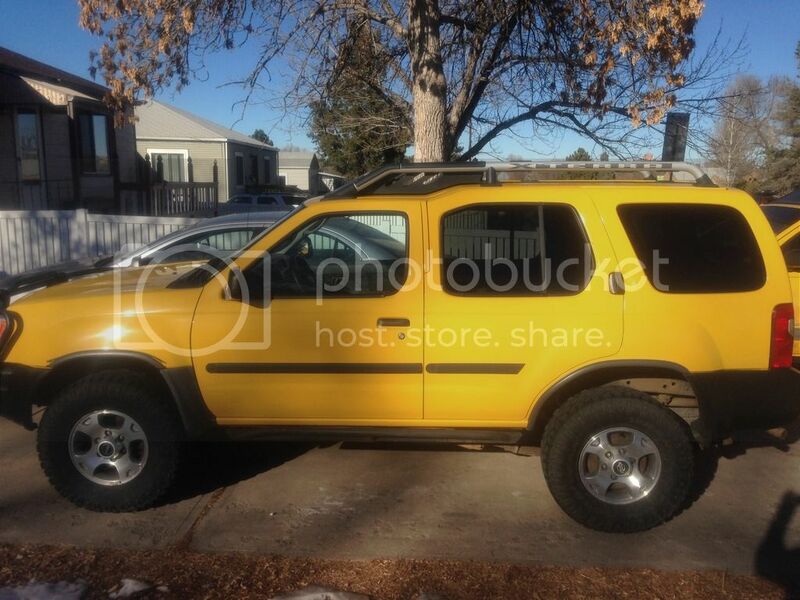 I have always liked the yellow Xterra. 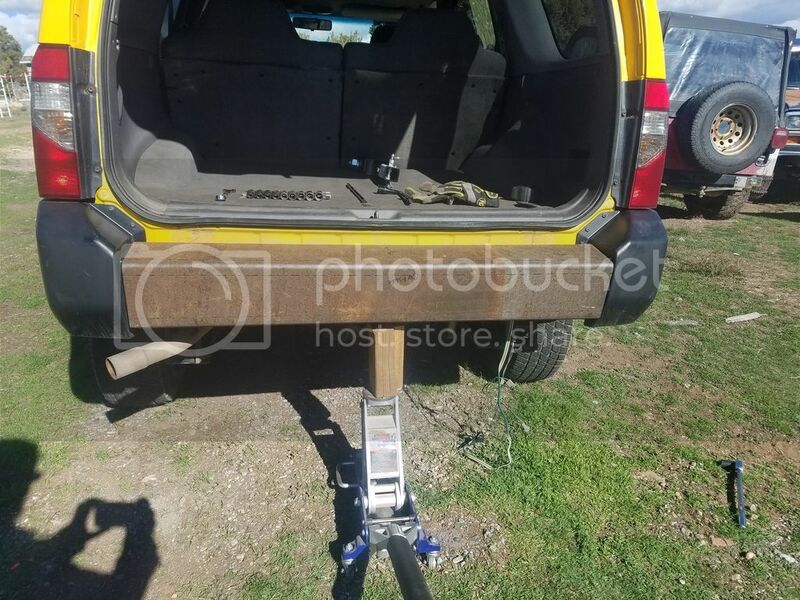 I have a bike rack and a Trasharoo that mounts the rear tire of the Montero that I would like to use on the X so it's time for a rear tire carrier. After looking at a few options I decided I couldn't justify spending a 1000$ on a rear bumper and decided to build my own. 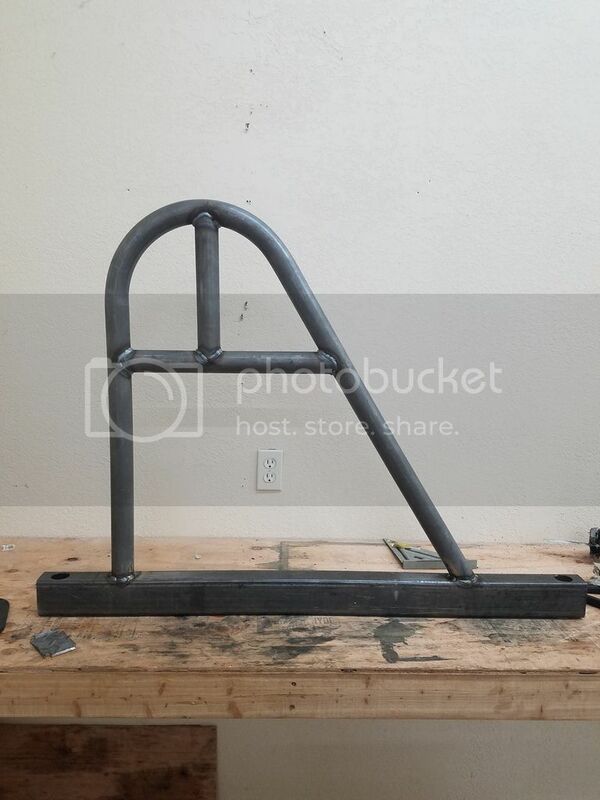 I am not a fabricator so this is a daunting task for me. 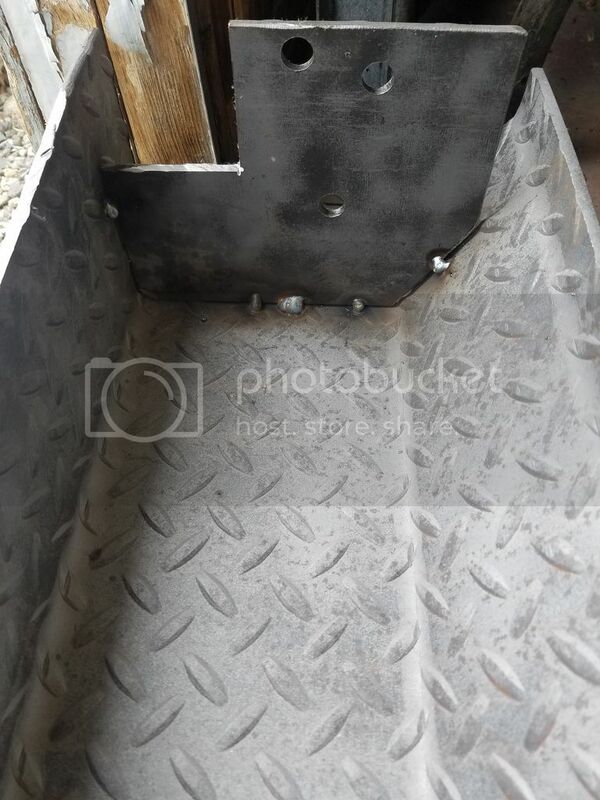 Had some 3/16 diamond plate laying in the scrap pile and cut a section out and had a local machine shop bend it to fit with the diamond plate on the inside since I do not like the look of diamond plate. Made a few templates for mounting brackets and used a death wheel to cut them out. Picked up some parts over the past two days from Denver. A set of 4 17 inch supercharged wheels for 200$, a set of skids engine/tans, transfer and gas tank for 240$ and finally a Calmini HD torsion bars and HD steering minus pitman arm for 100$. 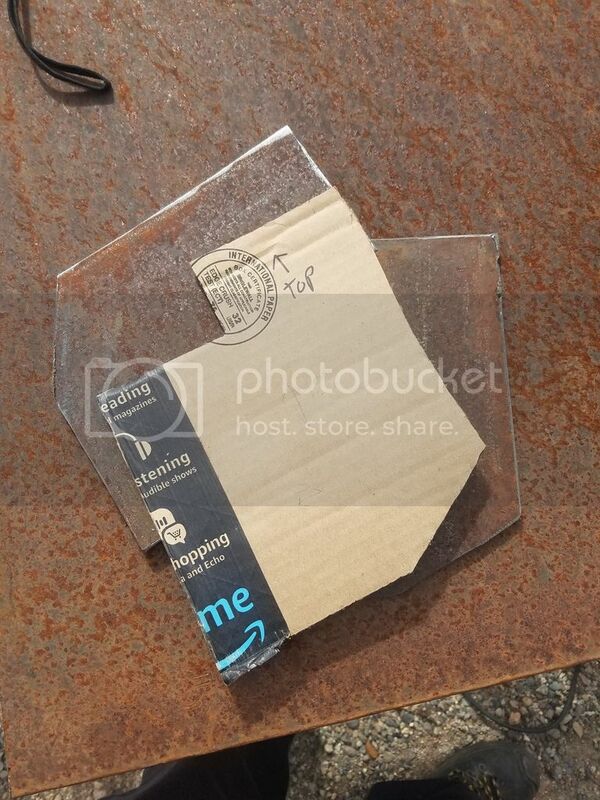 Super excited to get these parts on pics to come soon. Wheels and tires are on. Had to do some trimming of the plastic mud flap mount but they fit fine without a body lift. Made some more progress on the bumper got the receiver welded in. Having some issues with how to make a pivot for the swing arm but working through it. Decided to take a break from building the bumper and install the new to me Calmini torsion bars. Started Friday figured it would take me about 3-5 hours ended up taking all the way Sunday. Bars were rust welded into the tension bar anchor that I had to pull the full cross member and rig into into the press. 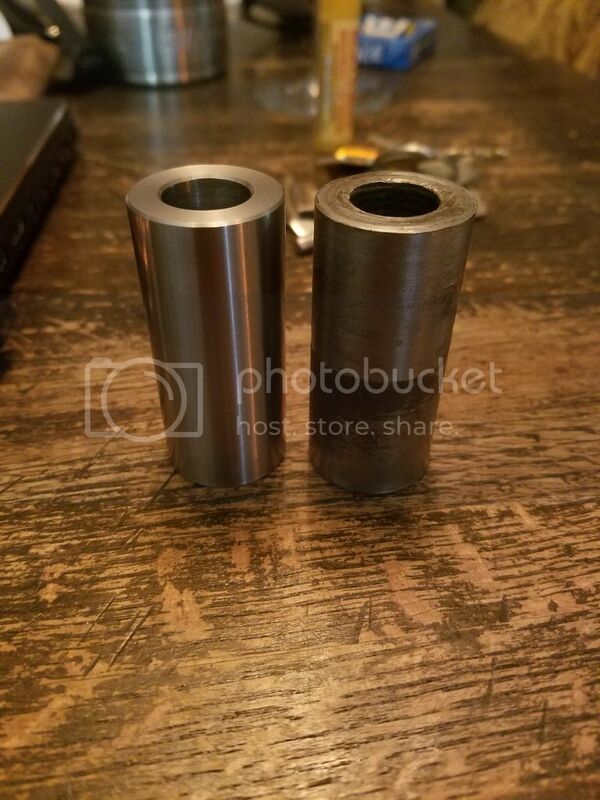 had to make two custom tools a pipe with a slot cut in it to push against the bar and a half inch plate with a hole in it to press against the face of the tension anchor. The install was a pain but I finally got them in and set the ride height. Old bar being pressed out I already got the other one out. New to me Calmini bars finally installed. So...I'll take one of those. Nice work, wish I had the gear to try building one. Do you have the measurements of the plate handy? The width and the bend measurements? Thinking I may try to find someone local to put one together for me. Thanks! 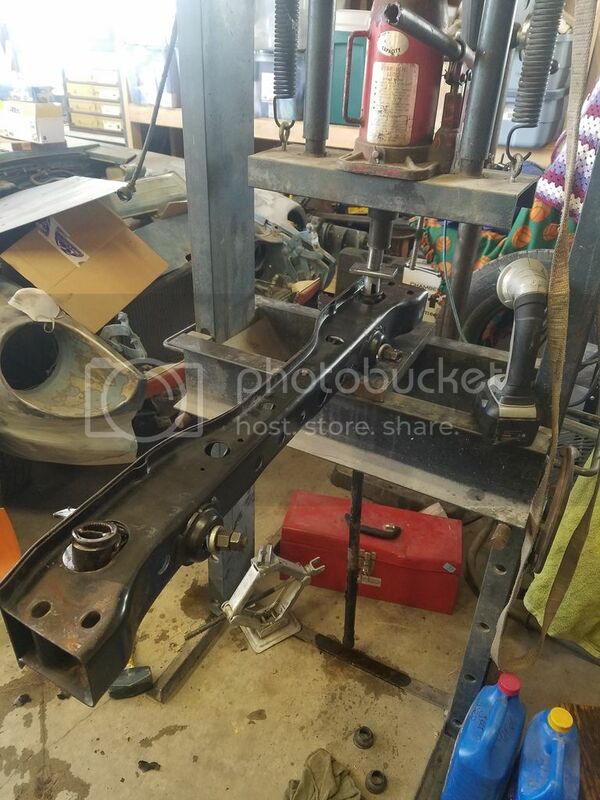 I followed the thread below to get the measurements however I would suggest pulling off the stock bumper and using the plastic corner pieces to get the measurements as mine was not a great fit. 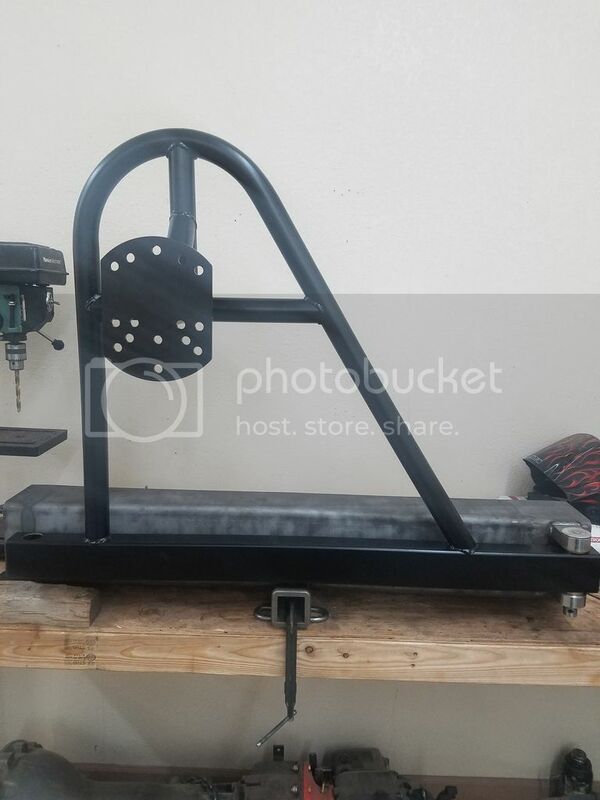 Started working on the swing arm for the tire carrier. Used 1 3/4" .180 DOM tubing that my friend and I bent on his JD Squared tube bender. Then we used the same tubing for the top supports and notched it with the JD Squared notcher. 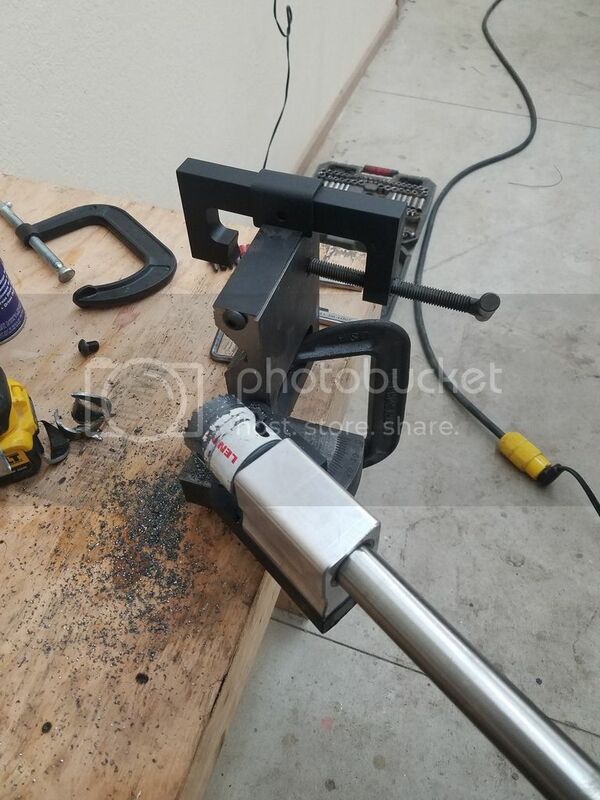 This was our first project using the bender and notcher but after some learning I think it turned out great!. While waiting for parts for the bumper I decided to tackle some general maintenance stuff got new upper and lower ball joints. Thought I would change out the upper control arm bushings while I was at it. Had both sides front camber bolts seized and the rears slid right out. For anyone who needs to cut these bolts out go buy some carbide tipped sawzall blades. Went through two bi-metal blades and barely made a dent in the bolt. One carbide tipped blade and I cut out both bolts like butter. Does anyone know if I can run Calmini upper control arms with only moving the front end up 1.5-2 inches? I have the arms but don't have the cash right now to do anything with the rear to raise it more. Yes. The Calmini arms just change the ball joint angle to allow more droop. It'll work fine at PML height until you can lift the rear. Plus you'll have a lot more droop. But only if you have extended length shocks. Thanks! I am glad that this will work. Why would I need extended shocks if the height stays the same as the PML lift? 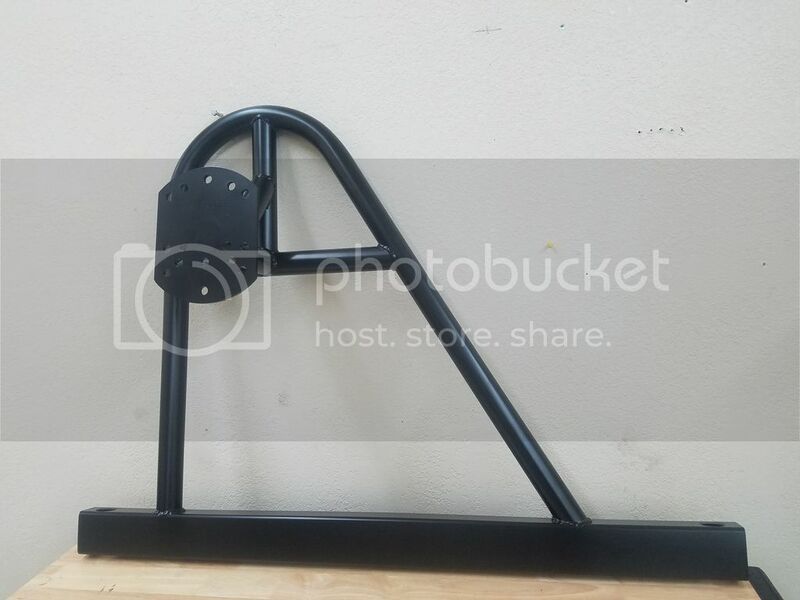 Would this just be for the drop of the tire? After a week of working on the X and waiting on parts I have new upper and lower ball joints. I also installed the Calmini arms. 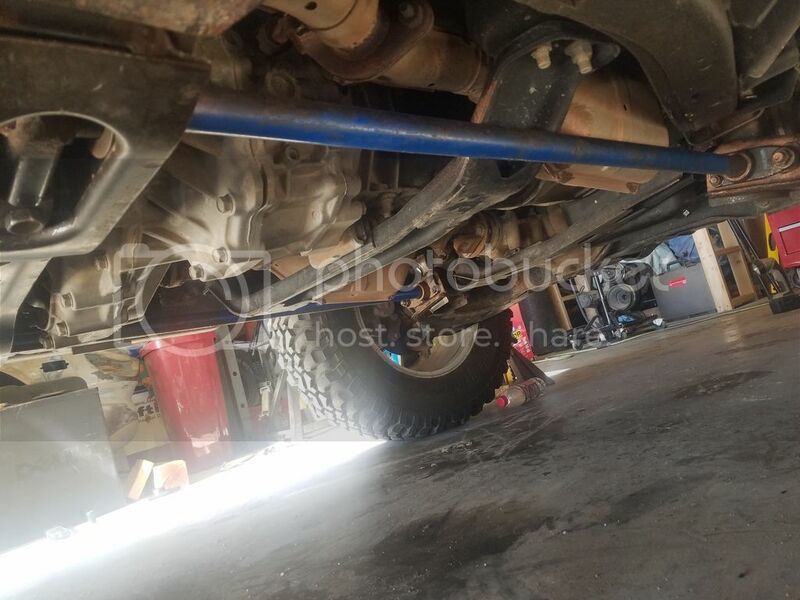 I wasn't going to go with the arms at first and just replace the bushings in the stock upper control arms but on the 4th bushing we had an issues getting the bushing out that caused the control arm to bulge and crack. So I started to look at what arms I could get locally and autozone wanted 90$ for a replacement arm. I found the Calmini arms on CL but one of the bushing inserts was missing. I called up Calmini and got the usual answer that they would call me back and then they never did. There is a local machine shop here that I have used in the past so I had him build one for me. Total of 20$ for a precision made piece I was pretty happy with that. Old insert next to the new one. 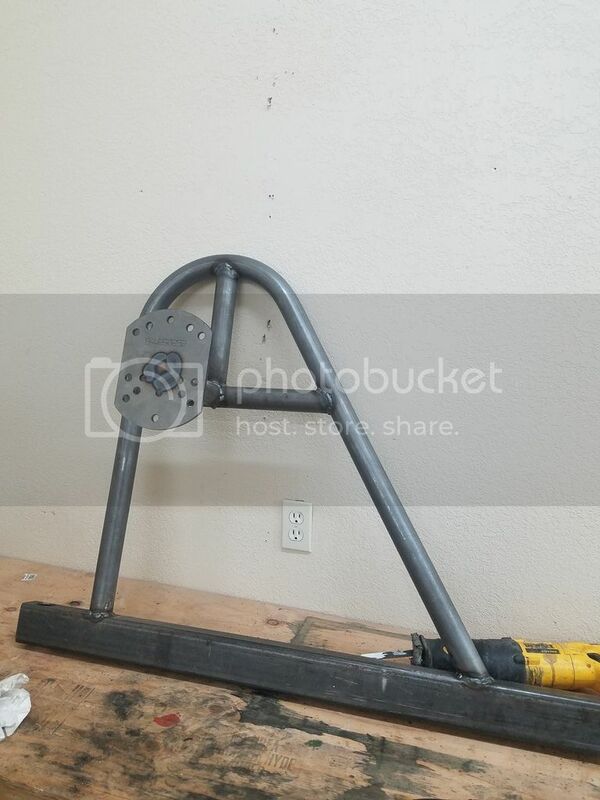 Also made a little progress on the swing arm. Just one brace left to make then it's time to paint. Got a few more things done this week. Dropped the swing arm off at the powder coating shop. 45$ for sand blasting and coating on the arm. I also took the time to change out the transmission oil with new Redline full synthetic GL4. Found some synchro teeth on the drain plug magnet so I don't think I have long before I have to rebuild the transmission. Changed the rear diff fluid with LSD GL5 fluid also. A few updates. 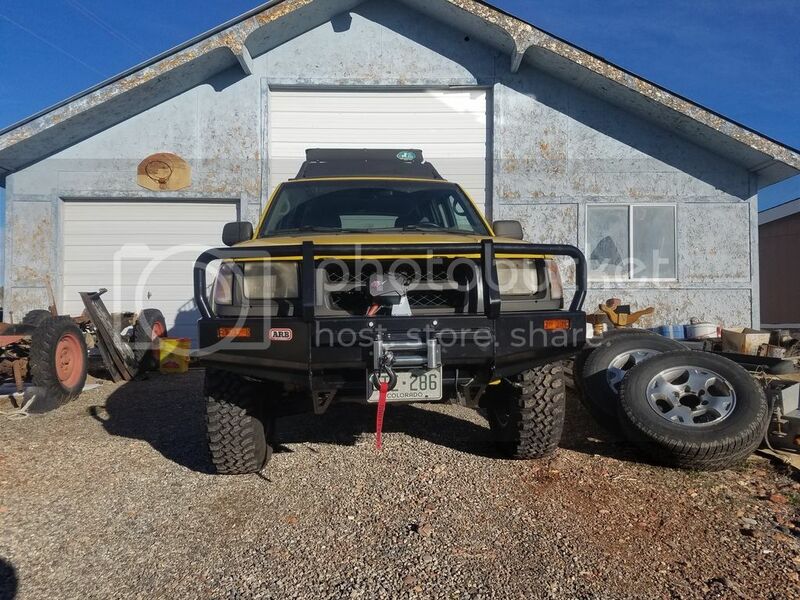 I got a new job and moved to North Denver unfortunately that means I do not have time to build a front bumper like my buddy wants me to. 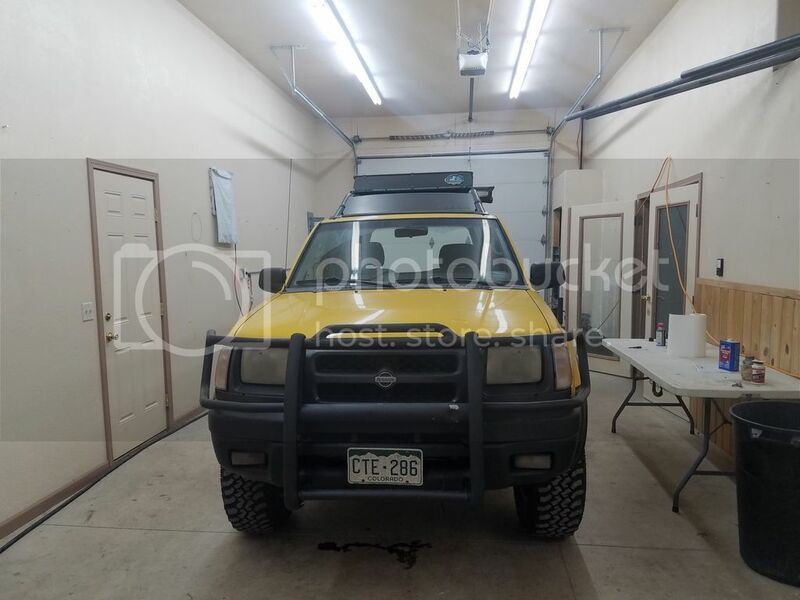 However I did sell my Montero and made enough money to buy an ARB front bumper. They also offered 50% off the smittybuilt 9.5K winch so I figured for 150$ I would pick that up too. 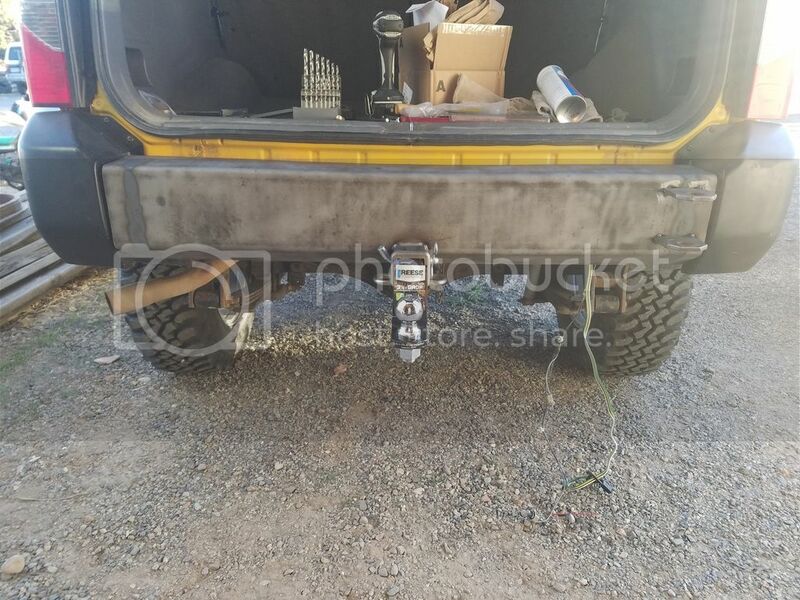 I also finished the rear bumper but the powder coater was behind schedule so I will have to pick it up Christmas week when I am over on that side of the state again. The last picture I have of the rear bumper before I finished it and sent it to be coated. 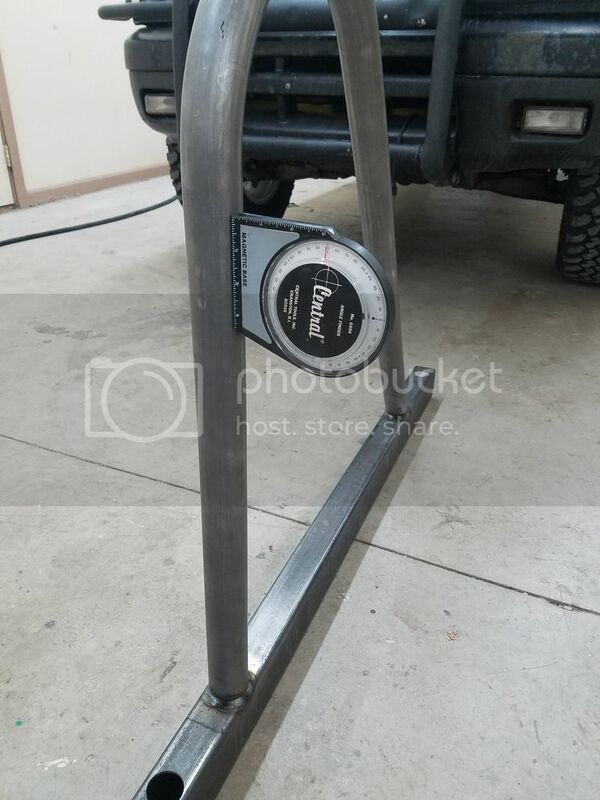 50% off a winch and it’s only $150.00. Up here in Canuckistan I can’t find one for under $500.00. Welcome to this side of the divide. Whereabouts are you now? Bumper is looking good. 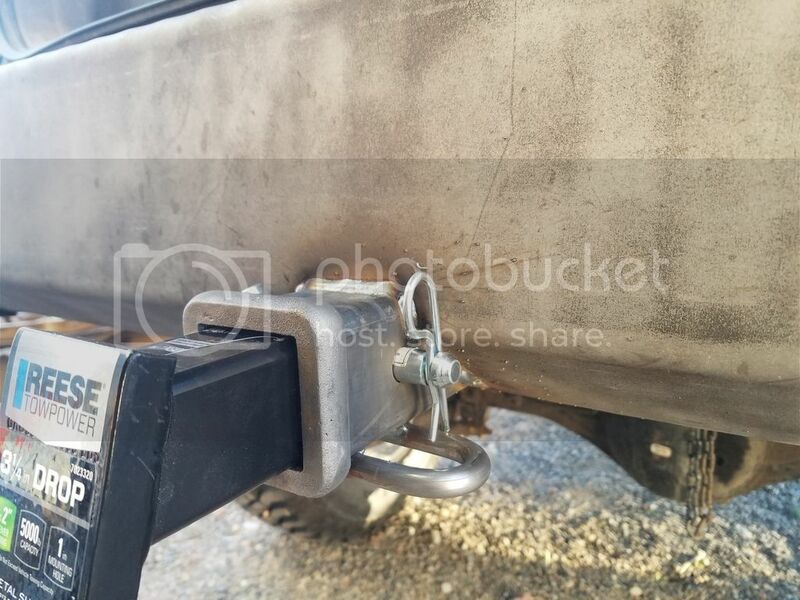 Make sure and reinforce the mounts on the ARB. They're not known for their strength. Yeah even at 300$ it is a good deal but I am sure a Warn would be much more reliable but whatever. I am in Lafayette. Do you have more details on this? It seemed plenty strong to me. So I towed a U-Haul trailer over with X but climbing the mountain passes reminds me of what I did like about the second gen the POWER. My X has 206K on it and I am thinking of what I am going to do with the power plant. No spoilers yet but I have an idea so stay tuned for some more updates. If you're still looking for a matching spare, looks like this guy may have one. Different color, but same wheel anyways. Thanks for the tip. 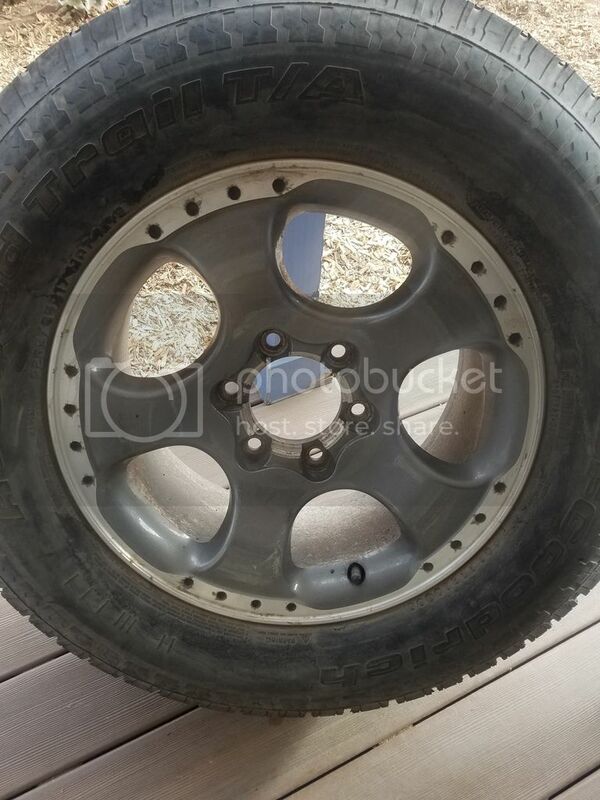 Went and picked it up I already have a spare tire off a jeep that I will have mounted on this wheel. Wish it was the same color but I might have it powder coated to match. Got tired of the look of the cheap rack so I removed it over Christmas and mounted the awning on the side with some u bolts. Picture taken last weekend when I was done hiking. Finally got the bumper back from the powder-coater and made a trip back to the other side of the state to put it on. If anyone wants more detail on the build let me know and I will write up the details. That looks like it came out really well! Thanks! I am overall happy with the way it turned out especially for the cost.